Robin Averill is Associate Professor in the Faculty of Education working mainly in mathematics education. Robin has previously held the roles of Associate Dean (Teacher Education), Mathematics Education Curriculum Leader and Postgraduate Programme Director, and earlier worked in secondary school teaching, professional development facilitation, and national assessment and moderation. With an extensive background in mathematics teacher education, Robin teaches in primary and secondary initial teacher education and Masters programmes and supervises Masters and doctoral thesis students. Robin’s research focusses on enhancing equity of access to learning and achievement, in particular through the areas of culturally responsive, mathematics, and teacher education. 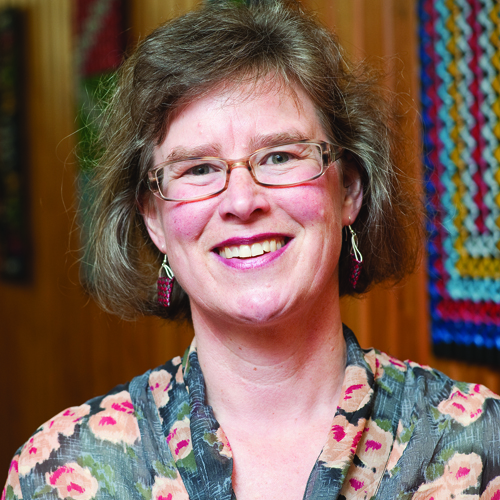 Robin is Vice President (Research) and an executive member of the Mathematics Education Research Group of Australasia, and an executive committee member of the Teacher Education Forum Aotearoa New Zealand (TEFANZ). Robin has also served as the New Zealand representative on the International Commission on Mathematical Instruction (2011-17) and as coeditor of Mathematics Teacher Education and Development (2016-18). Farzad Radmehr, PhD (2016), Exploring student learning of integral calculus using revised Bloom’s taxonomy. Primary supervisor. Bui Thi Kim Tuyen, PhD (2014), An investigation into the use of culturally responsive teaching strategies: Teaching English to Muong ethnic minority students at a tertiary institution in Vietnam. Secondary supervisor. Amton Mwaraksurmes, PhD (2012), Stance marking tools in Vanuatu mathematics education: Towards a Gelagel framework. Primary supervisor. Ray Teahen, MEd with Distinction (2015), Exploring visualisation as a strategy for improving Year 4 & 5 student achievement on mathematics word problems. Sole supervisor. Jennifer Fraser, MEd with Distinction (2014), The role of the dean in the pastoral care structure of a secondary school. Sole supervisor. Rebecca Blackwood, MEd with Merit (2013), Organisation and self-concept in Year 6 and Year 7 mathematics. Sole supervisor. Mohamed Shameem Adam, MEd with Distinction (2012), Primary teachers’ mathematical beliefs and practices in the Maldives. Primary supervisor. David Pomeroy, MEd with Distinction (2011), Thematic teaching and student engagement in a non-academic year 12 mathematics course. Sole supervisor. Adrian Alamu, MEd with Merit (2010), Teacher beliefs, knowledge, and reported practices regarding numeracy outcomes in the Solomon Islands. Primary supervisor. Karyn Saunders, Maximising student achievement in secondary school mathematics. Primary supervisor. Anna Williams, Academic leaders' perceptions of the functions of moderation - a mixed methods study. Secondary supervisor. Dan Green, Will structured manipulations used in an intervention based on Fuzzy-Trace Theory develop an understanding of additive reasoning for Year 7 and 8 students currently below their peers? Averill, R. & McRae, H. (in press). Culturally sustaining initial teacher education: Developing student teacher confidence and competence to teach Indigenous learners. The Educational Forum, Special Issue. Anthony, G., Averill, R., & Drake, M. (2018). Occasioning teacher-educators’ learning through practice-based mathematics teacher education. Mathematics Teacher Education and Development, Special Issue, 19(3), 4-19. Saunders, K., Averill, R., & McRae, H. (2018). “I can’t wait to get to maths”: Ako in mathematics teaching and learning. Set: Research Information for Teachers, 1, 11-18. Averill, R., Drake, M., Anderson, D., & Anthony, G. (2016). The use of questions within in the-moment coaching in initial mathematics teacher education: Enhancing participation, reflection, and co-construction in rehearsals of practice.Asia-Pacific Journal of Teacher Education, 44(5), 486-503. Hindle, R., Hynds, A., Averill, R., Meyer, L., & Faircloth, S. (2016).An ontological perspective on the development of home-school partnership relationships with Indigenous communities, The Australian Journal of Indigenous Education, 46(1), 92-103. Averill, R., Te Maro, P., Anderson, D., Easton, H., & Taiwhati, M. (in press). Bicultural mathematics teacher education and research: Supports and challenges. In C. Nicol, J. Archibald, F. Glanfeld, & S. Dawson, (Eds. ), Living culturally responsive mathematics curriculum and pedagogy: Making a difference with/in indigenous communities. Rotterdam: Sense. Averill, R. (2018). Using rich investigative mathematics activities towards embedding culturally responsive mathematics teaching: Helpful, but sufficient? In R. Hunter, M. Civil, B. Herbel-Eisenmann, N. Planas, & D. Wagner, (Eds. ), Mathematical discourse that breaks barriers and creates space for marginalized learners. (pp 195-212).Rotterdam: Sense. Vale, C., Atweh, B., Averill, R., & Skourdoumbis, A. (2016). Equity, social justice and ethics in mathematics education. In K. Makar et al., (Eds. ), Research in Mathematics Education in Australasia 2012-2015 (pp. 97-118).Rotterdam: Sense. Averill, R., & Harvey, R. (2015).Go fast! Kia tere! Exploring rates. In J. W. Lott & C. J. Lott (Eds. ), Mathematics lessons learned from across the world: Grades 7-12 (pp. 13-18). Reston, VA: NCTM. Auckland UniServices Ltd. (2017). Trialling the Education Council of Aotearoa New Zealand’s draft professional teaching standards in the setting of Initial Teacher Education. Auckland. Anthony, G., Hunter, R., Hunter, J., Rawlins, R., Averill, R., Drake, M., & Anderson, D. with Burgess, T., & Harvey, R. (2015). Learning the work of ambitious mathematics teaching. Teaching and Learning Research Initiative: New Zealand Council for Educational Research. Averill, R. (Ed.) (2015). Mathematics and statistics in the middle years: Evidence and practice. Wellington, New Zealand: New Zealand Council for Educational Research. The chapters in this book showcase exciting mathematics teaching practice and research from primary and secondary schools in Aotearoa New Zealand. Averill, R., & Harvey, R. (2010). Teaching primary school mathematics and statistics: Evidence based practice. Wellington: NZCER Press. ‘Highly Commended’ in the Best Book in Higher Education category of the Copyright Licensing Limited Education Publishing Awards 2011. This book combines exemplary pedagogical approaches presented in an accessible and inspiring way with excellent instructional design, illustrative flair, and ease of use. Informed by research, this “ground-breaking text” is useful for student and practising teachers.